ZSL (Zoological Society of London) is an international conservation charity working to create a world where wildlife thrives. From investigating the health threats facing animals to helping people and wildlife live alongside each other, ZSL is committed to bringing wildlife back from the brink of extinction. Our work is realised through our ground-breaking science, our field conservation around the world and engaging millions of people through our two zoos, ZSL London Zoo and ZSL Whipsnade Zoo. The press office is here to help with any media enquiries relating to ZSL, from facilitating filming and photography to putting you in touch with one of our world-leading conservation experts for interviews or comment. We are always happy to discuss all ideas and make recommendations, so please direct any media queries to a member of the press team – all of our contact details are outlined below. If you are working with a celebrity or high-profile individual who would like to support a ZSL campaign, event or project, we'd love to hear from you. Please email the relevant member of the team below, depending on what they would like to work with us on. For more information on ZSL please download the ZSL press pack here. ZSL’s iconic Zoos and historic venues have made perfect backdrops for many films, photography shoots and television programmes. Commercial film shoots incur a location fee, and if you are looking to use any of ZSL’s venues or locations, seeking to reproduce a ZSL-owned image or conduct research for a project that is not about the work of ZSL, please email CommercialFilming@zsl.org. Please note: the ZSL Press Office is unable to assist with general queries. For information on Zoo opening times, or booking tickets and experiences, please email generalenquiries@zsl.org. Rebecca oversees the ZSL press office and ZSL’s consumer publications. Please get in touch with queries relating to ZSL, media partnerships with ZSL, broadcast projects or ZSL’s publications. Tina looks after media activity for ZSL London Zoo, from new exhibits to new arrivals, and everything in between. If you’ve got a request about ZSL London Zoo, please contact Tina. Kate looks after media activity for ZSL Whipsnade Zoo, from new exhibits to new arrivals, and everything in between. Kate is in the office every day except Thursday. If you’ve got a request about ZSL Whipsnade Zoo please contact Kate. Stephanie looks after all media for ZSL’s charitable activities – from our packed schedule of fundraising events and fundraising campaigns. Stephanie also manages media activity for ZSL’s catering, retail outlet, online shop, and all experiences at ZSL London and Whipsnade Zoos, including overnight stays, Keeper for a Day and Friendly Spider Programme. Emma looks after media activity for specialist titles and international coverage focusing on ZSL’s education and veterinary departments as well as our global conservation programmes, scientific research and outreach. Jonathan is managing editor of ZSL’s consumer publications. Please get in touch for queries about ZSL’s magazine and guidebooks, or any other publication ideas. Jonathan is also managing editor for The Zoologist, ZSL’s Fellows’ newsletter, community newsletter and compiles ZSL’s Annual Reports and Accounts. Stewart works across ZSL’s press and publications department, supporting all activity. 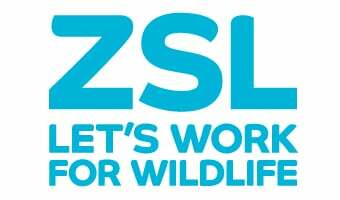 Please get in touch if you have an image request for ZSL, or need information on carrying out any media activity at ZSL. The press office is open from 9.00-5.30 Monday to Friday. For urgent out-of-hours enquiries email Press.office@zsl.org or call 07889 043 843.